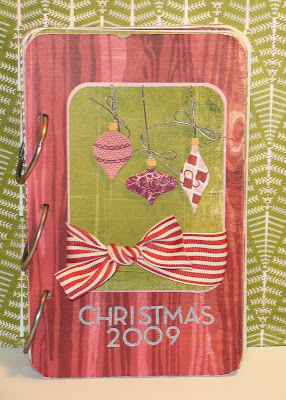 Here's another pretty, practical Christmas notebook from blogger Kristen Stryker. Behind the lovely cover, you'll find sections for lists, menus and holiday planning. We like Kristen's eclectic approach to supplies and embellishments. Because she's mixed and matched offerings from multiple suppliers, this project would make good use of holiday bits and pieces from the supply stash. Another inspiring planner tour to help organize the holiday season!